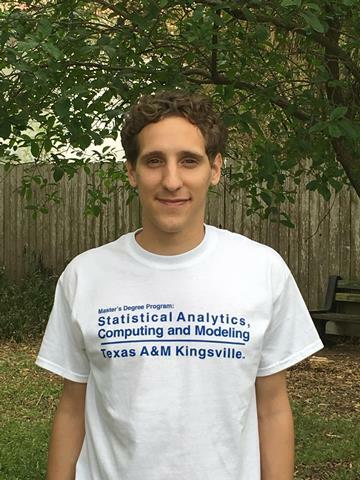 Kevin De Angeli, a junior mathematics major at Texas A&M University-Kingsville, was selected for a highly competitive Summer Research Experience for Undergraduates (NIMBioS) at the University of Tennessee, Knoxville. The program is sponsored by the National Institute for Mathematical and Biological Synthesis. De Angeli, who is from Argentina, will collaborate with two other students on a project to explore the spatial interactions between hunting and gathering in tropical forests. He has a perfect 4.0 grade point average and has plans to earn his master’s and doctoral degrees. The program runs for eight weeks from May 29 through July 20. There are a total of 15 students chosen for the program. Participants receive free housing, a stipend and some travel support. Participants work in teams with NIMBioS postdoctoral researchers and university faculty on research at the interface of mathematics and biology. NIMBioS is a National Science Foundation-sponsored initiative to foster interdisciplinary research.